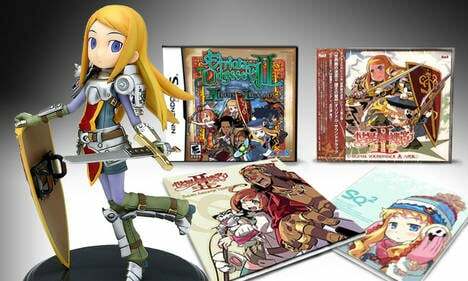 The June 17th release of Etrian Odyssey II: Heroes of Lagaard for the Nintendo DS is right around the corner! The sequel to last year's 3D dungeon-crawling role-playing cult classic sounds like a dream for fans of the series -- more classes, improved mapping capabilities, and new force Skills. We considered keeping all of this stuff for ourselves, but then we wouldn't be able to sleep at night. Winning is easy: simply create a community blog detailing your most memorable experience associated with the original Etrian Odyssey. It could be about anything from a particularly brutal encounter with a FOE, to something about your favorite character. Simply create a c-blog with "Tales of Etrian Odyssey" in the title, and let 'er rip! Don't have a community blog on Destructoid? Signing up is easy and free! We'll be accepting submissions through Friday, June 13 -- good luck!